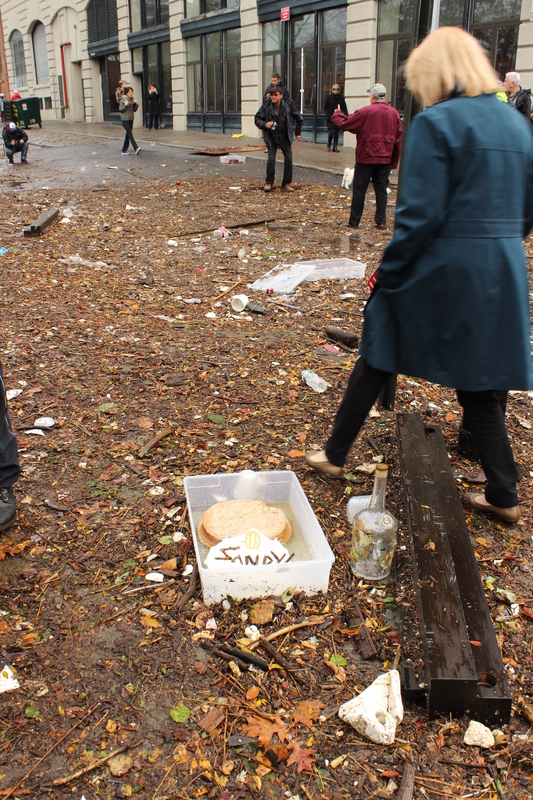 THE MAGNIFICENT DESTRUCTION OF HURRICANE SANDY. One of the many aspects of photography. Is that it’s not always about weddings, portraits, sporting events photos of wildlife and so on. It’s also about photo documenting events that can change lives. Hurricane Sandy is one of those events. Hurricane Sandy ripped through New York City on October 29, 2012 leaving in its path a mountain of debris in New York City. 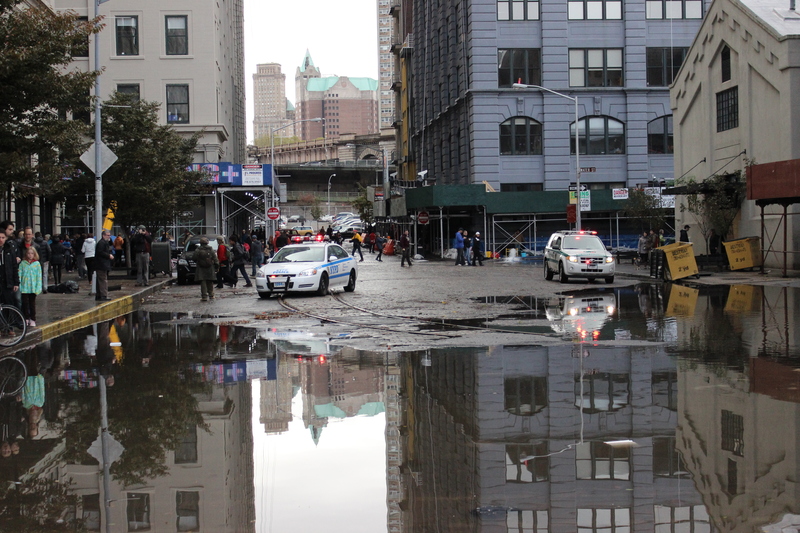 I have lived all my life in New York, and I have never seen anything so bad as what hurricane Sandy has done. But in an odd way, I did want to go outside and take photos of what was going on. Granted I do not recommend anyone doing such a thing in a hurricane, leave that to the professionals that do such a thing for a living. 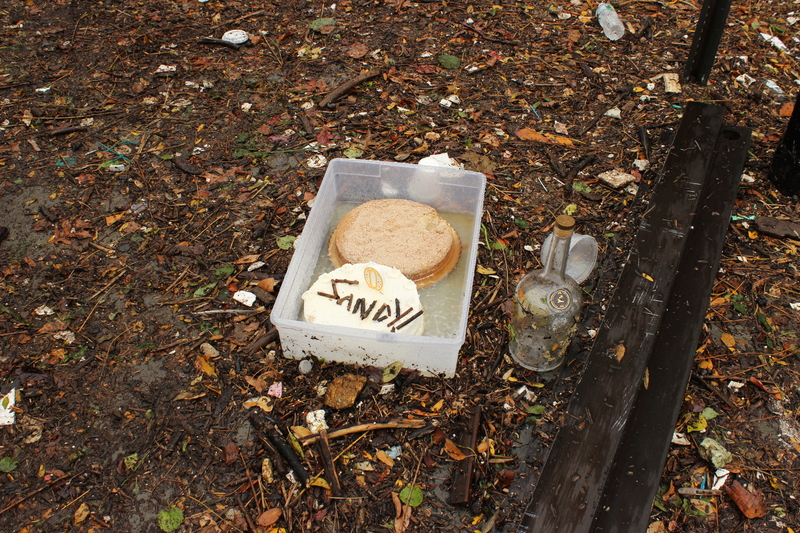 My overall reasons for going outside to photograph hurricane Sandy was the following. An overall curiosity of a hurricane, for I have never witness one so intense in New York. And my final reason was the simple fact that I wanted to photo document a once in a life time event. Now I know that reason number three sounds extremely lame to anyone that is reading this. After all we have NASA, NOAA and of course the news media such as CNN, MSNBC and FOX covering and documenting the event. But I was drawn to it like a moth to a fire and I just had to experience it myself. Once I had gotten home I described on Twitter the event of hurricane Sandy as “magnificent destruction.” The actual Tweet I sent is below. 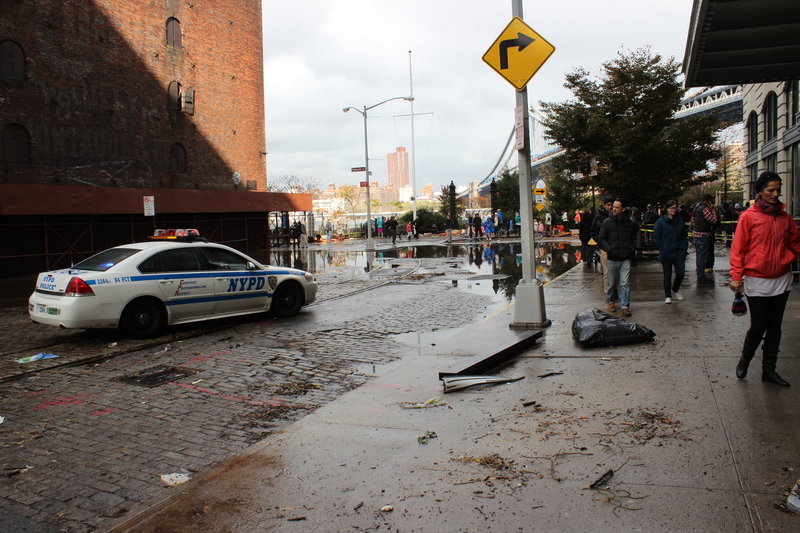 Below are some of the photos that I had taken of the aftermath of Hurricane Sandy. 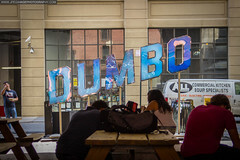 They were taken in an area of Brooklyn, New York known as DUMBO near Brooklyn Bridge park. Main Street Brooklyn, New York Hurricane Sandy’s aftermath. 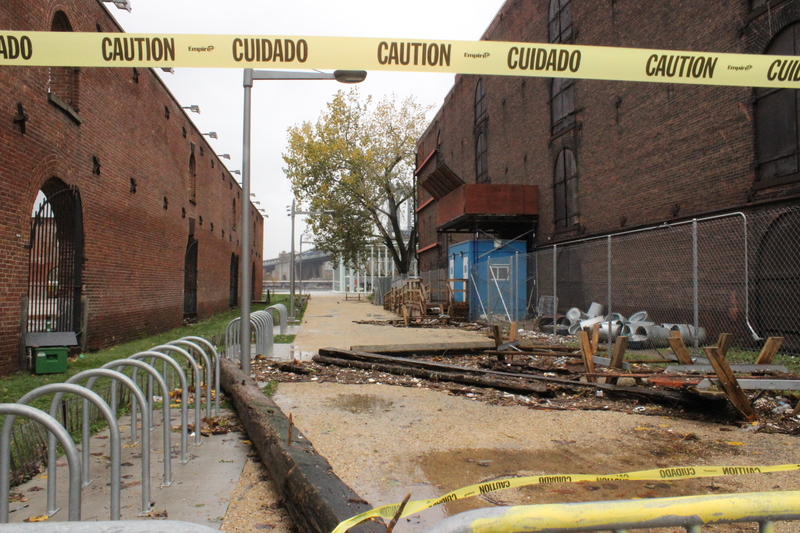 Brooklyn Bridge Park entrance Brooklyn, New York Hurricane Sandy’s aftermath. Yes… You seen correctly in the above photo. “Someone left a cake out in the rain.” A wider view of the cake is below. 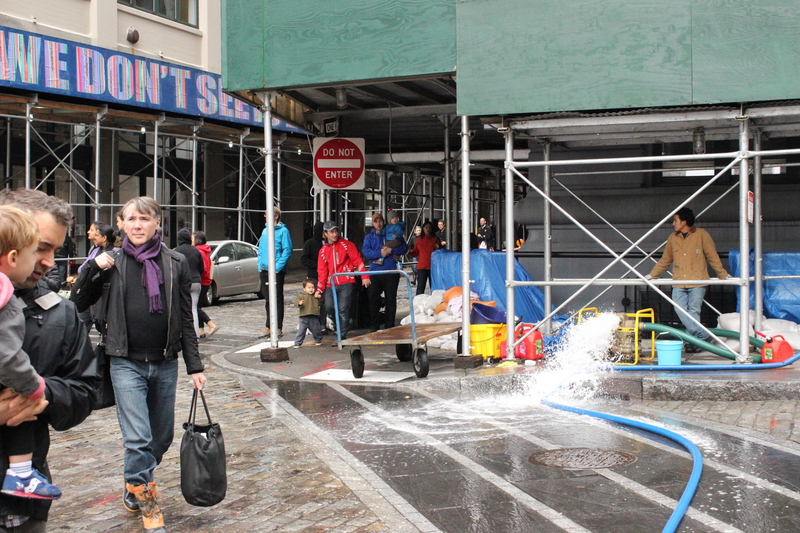 Water being pumped out onto Main Street from Hurricane Sandy’s aftermath. 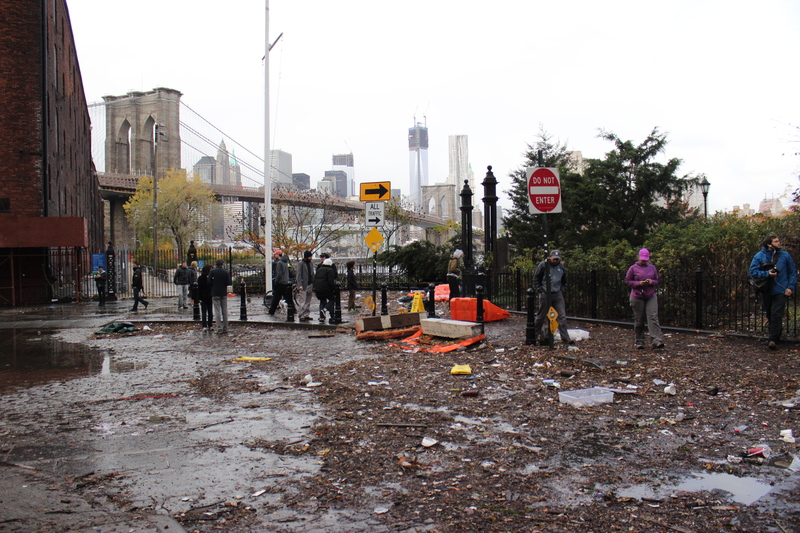 Brooklyn Bridge Park after hurricane Sandy’s aftermath. 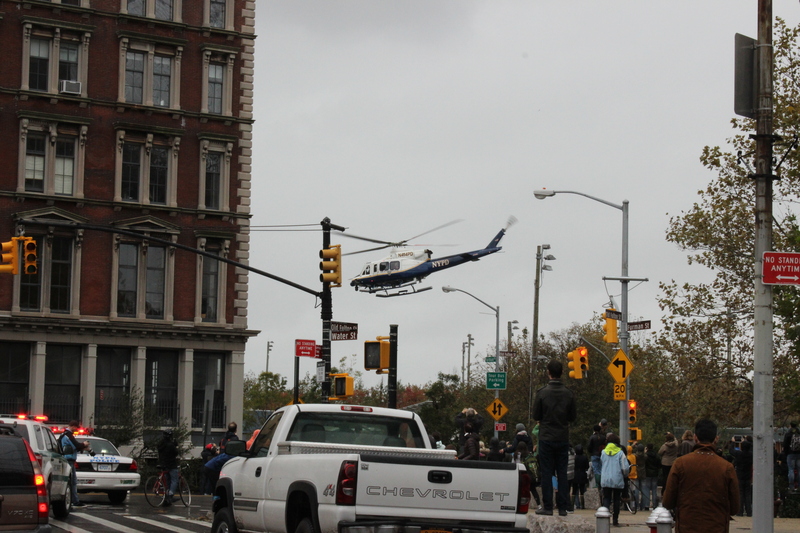 NYPD in flight during Hurricane Sandy. Being born and raised in New York City I know that we as a people of this great city that we can all come back together and recover from what has happened above. The events that have transpired here should not be taken lightly for it could happen anywhere.